Swimming brings on the best kind of adrenalin rush for anyone who’s a sports enthusiast like you. For someone who’s in his early days as a swimmer, have to face a hard time with the metrics of this sport. Specially, if you have got a goal in mind to be a professional, #1 of the rulebooks to get a clean and clear perception of what these metrics are, and how they determine your performance. I know that you’ve been in the same shoes and looking for a complete guide that can sort the way out. Don’t worry, because you’ve just reached the right page. This post covers a broken-down explanation of metrics that are frequently used in professional swimming and beyond. For you to understand it better, we’ve broken them into bite-size chunks. Making the Intro no longer, let’s dig deep. 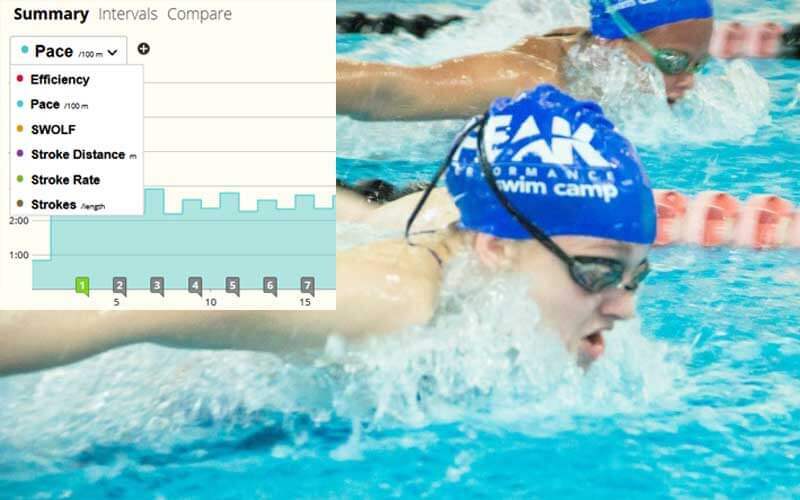 Swimming Metrics: What and How Important They Are? If you’re updated with tech, you might have noticed that brands like Samsung, Apple have joined the business of Garmin, Polar, and Suunto etc. 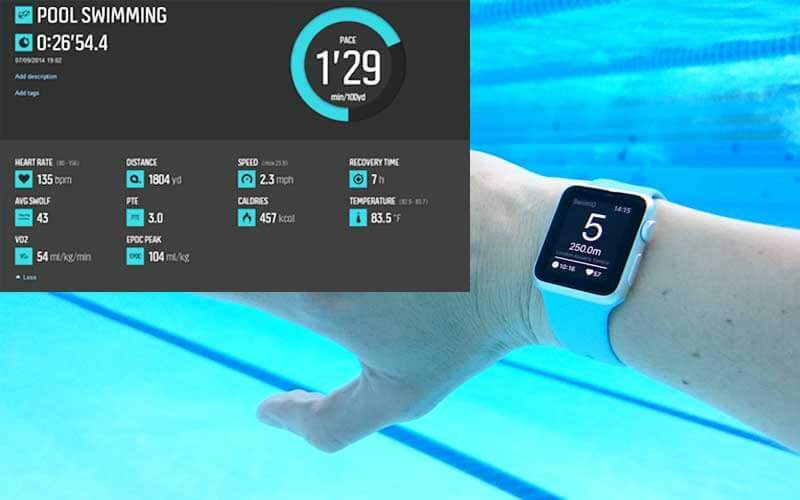 What it means is, these tech giants are manufacturing swimming gears(watches) to make the life of a swimmer better. But in any of these watches, you will find some data, stats, and number popping up. All they show is how many jobs had been done in the pool and good of a swimmer you are. And those are what we call swimming metrics. These will be very helpful to you to understand how are you doing and are you improving or not. 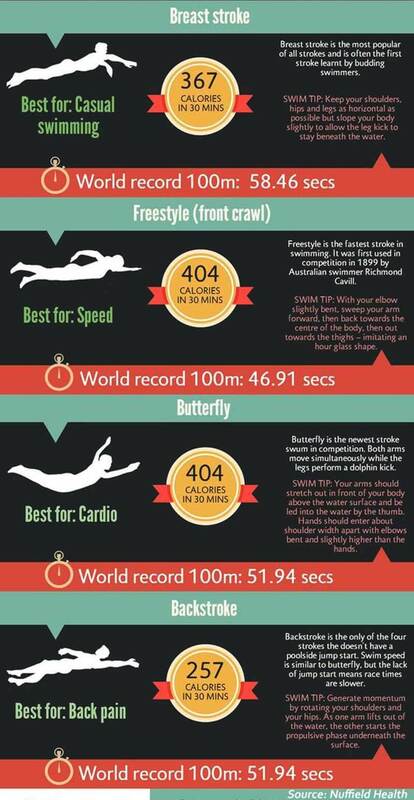 So, it’s no less important to understand the stats before you wish to become a good swimmer. Most basic metrics of swimming is maintaining time. You will just measure and will have the target to finish in a short time this is not actually maintaining time metrics. Time has been distributed into three categories. 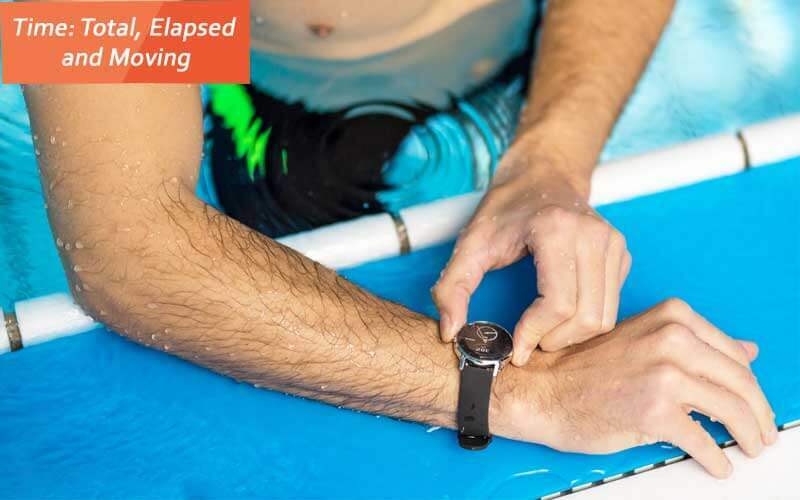 Moving time is indicating simply how much time you are taking to swim. If you take rest after the moving time and before the next stroke, that will be known as elapsed time. And moving time with the elapsed time make the total time. It is important to maintaining the total time unless you won’t track how your efficiency is and how it’s increasing. 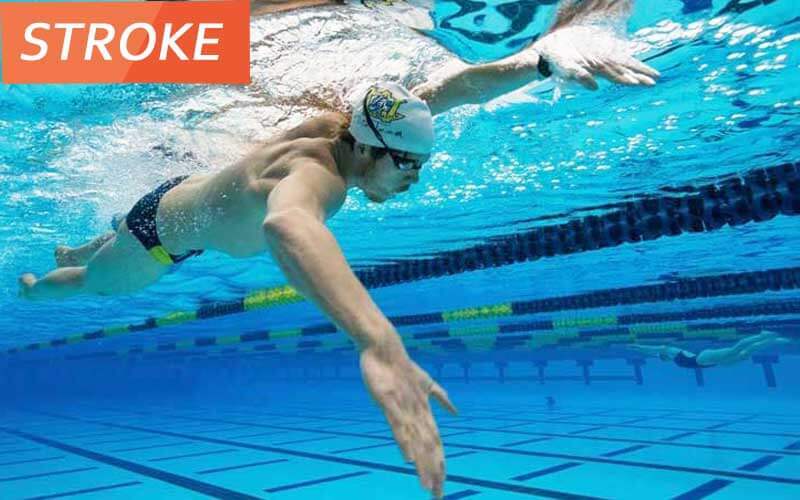 Read Also: Swim sense Earbuds for small ears you will love. Simply to say it is the metrics of your speed. It means how much speed you’re swimming at. You can measure this in m/h or km/h. It fully depends on your choice. 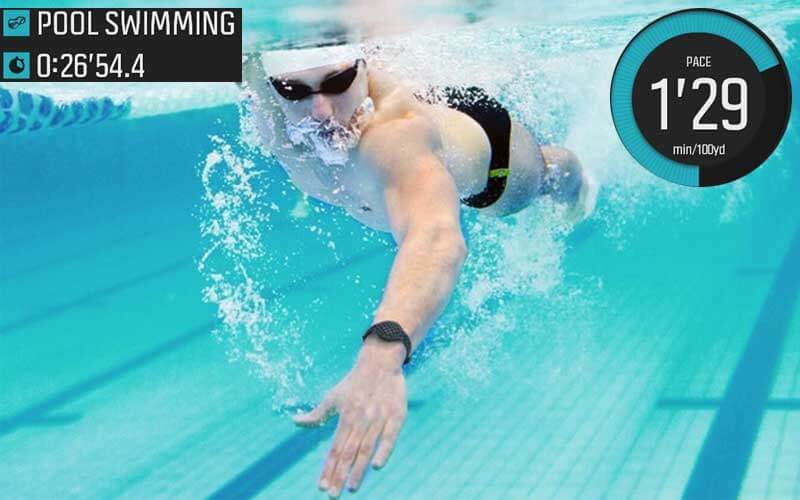 For example, if you swim a distance of 1000m at a timespan of 21 minutes and 58 seconds, you can measure your pace as 2.12 for per 100 meters. If you convert between the units, it’s 2.7km/h or 1.7mph. You have to know the measurement of the pool and obviously your moving time. Then you have to divide the distance by the moving time. By this, you can know your pace. I think you have already understood that your best pace and your average pace both are important in your swimming session. If you are not trying to make your best pace high, you will not be able to get a good average pace. But best pace won’t make any difference if you have a very low average pace. By stroking your hand on the water you go forward. How much time you are stroking this is also an important metrics. You should calculate these metrics strictly to increase your effectiveness. As usual, total strokes indicate the total stroke during the swim session. Average stroke means how many strokes you have done per length. Don’t get confused between Average stroke rate and average stroke at all. Average stroke in one minute is counted as the average stroke rate. Lastly, Maximum stroke rate is the highest score of stroke rate. 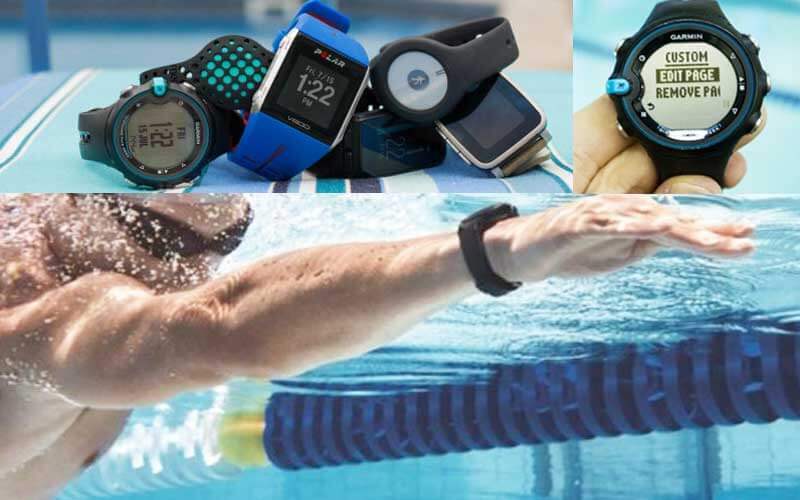 Read Also: Best waterproof smartwatch with heart rate monitor you can buy. In all exercises, it is important to know heart bit rate. 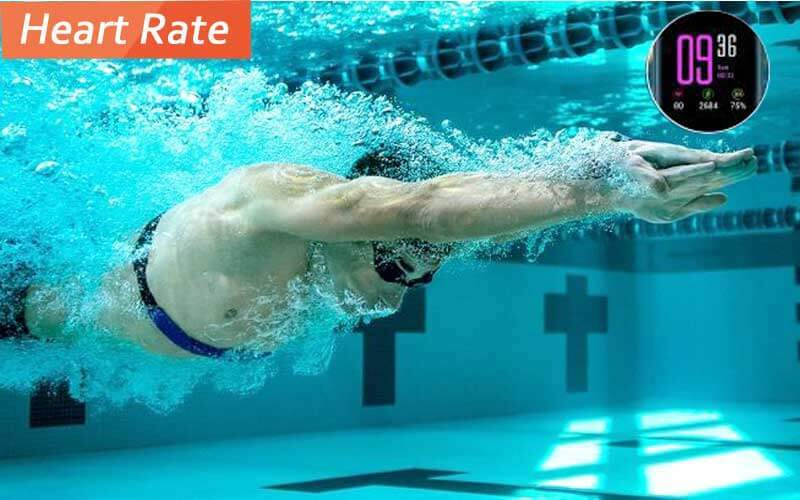 You must get to know to your heart bit rate while swimming. By this, you will get to know the situation of your health. Most of the swimmers track their heart rate always. The intensity of the workout can be measured by this. You can check your heart rate by using a wristwatch. Many companies are offering this function with their digital watch. This digital watch is most common in the market. You can also use stripe chest monitor. By this, you will be able to monitor your heart rate. General science says that in water the human body’s heart rate gets slower. Normally the heart beats per minute 12. This also a metrics that a swimmer should always maintain. It will indicate how much calories have been burnt and according to that the diet of a swimmer will depend. Proper maintenance of the calories will let you achieve your goal quickly. SWOLF: What, Why And How to Count? 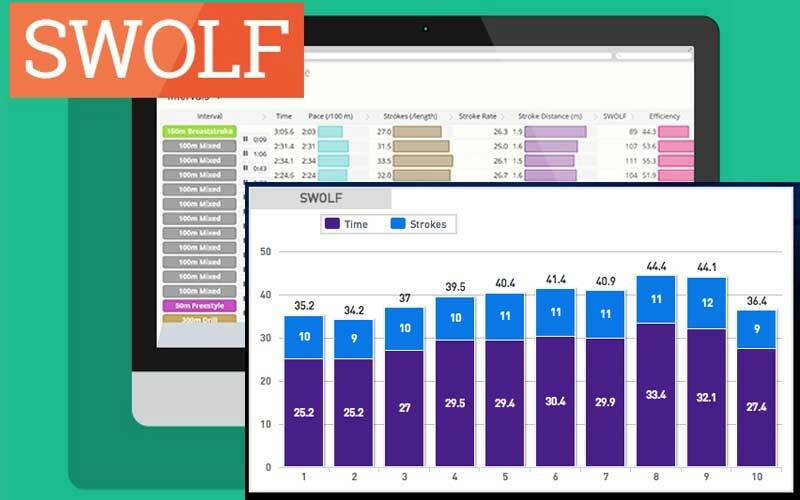 SWOLF is the meter of your swimming efficiency. This name is made combining ‘Swimming Golf’. Because like the golf game, your main focus is to lower your score. A low score means that you have more efficiency in your swimming skill. Now, what exactly SWOLF is? It is the sum of how many strokes you require in how many seconds from going to one side to another side of the pool. Sounds confusing, no? Let me do a simple math to clear your confusion. Suppose, you did 15 strokes and it took 30 seconds to reach one side from another. So, your SWOLF will be, the strokes you took + the time you took =15+30=45. Your high efficiency in the water clearly depends on your SWOLF score, which has to have the lowest. You may have done 10 strokes in 35 seconds to cover the pool’s length. Or, you may have done 30 strokes in 15 seconds which is quite impossible. Above all, an average pool of 25m doesn’t need 30 strokes to cover. The main objective of SWOLF is fewer strokes in fewer seconds. This is the only key to achieve high efficiency in the water. But what is the ideal average score of SWOLF? That clearly depends on the length of the pool. But in an average pool of 25m length, SWOLF score should be at least 35-45. The more it decreases the more your potentiality increase. Your stroke count depends on your height too. Generally, the person above 5 feet needs 12 strokes and below to 5 feet needs 20 strokes in order to cover 25m pool. Again, SWOLF depends on which style you are approaching. For example, if you are approaching the butterfly style two strokes will count as one. Because in this style you stroke with your both simultaneously. But in freestyle, each stroke is count as one because you are moving your one hand forward at a time. Read if you need: Waterproof Bluetooth headphones you should take as a audiophole. 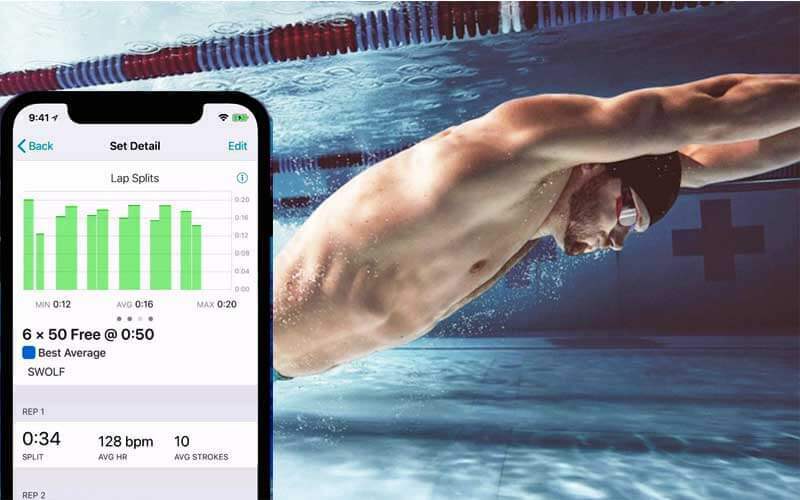 So, how will you achieve your swimming efficiency by lowering your SWOLF score? The answer is here. Here are some useful tips that will help you to achieve your goal. Bear in mind that, do not compare your swimming potentiality with others. Because it may depend on some variable that you can not control. Like your height, which I have mentioned before that your height is a contributing factor on your stroke count thus the SWOLF score. Comparing yourself with other may lead to pushing yourself to such limits that your body can not hold for long. The ultimate result will be zero. Your main target will be to improve and sharpen your skill. First, note down your basic SWOLF score. And try to beat it. For example, your basic SWOLF is 60 in a 25m pool where your stroke count is 15 and taken time is 45 second. First, try to lessen the time by 10 seconds. Make is as less as you can. If you can make it at least 30 seconds, you will be in a state of average SWOLF score holder. And now your challenging time starts. This time try to minimize the stroke counts simultaneously as much as possible. By the time you will reach the maximum efficiency being the less SWOLF scorer. Do not be confused while choosing your style. Be very sure about which style you want to be skillful. Because of swimming style matters. If you pre-noted the basic SWOLF score in freestyle and try to break it by doing butterfly style won’t help at all. Why? The first reason I have already mentioned. Two strokes in butterfly style equal to one stroke in freestyle. Your math won’t be correct. The second reason is both styles drains the different amount of energy out of you resulting in different moving time. Choose one style, practice it, and improve your efficiency with it. Then move to another style. If you are thinking that holding your breath for a long time will improve your efficiency then, you are completely wrong. Holding breath results choking and draining more energy than normal. Lack of oxygen will freeze your muscle. It will become harder to give strokes and move in the water. Fill your lungs with air. It will help you to float in the water more easily. Your muscles will flex easily while giving strokes. You can make less move in less time. So yes, breathing does help to improve your SWOLF. Positioning your head straight with the body allows you to achieve the perfect balance for swimming. Because if you float left and right uncertainty, you will never be able to do the perfect stroke. So, body positioning is the most important thing here. The more horizontally you keep your body the less you have to struggle in the water. Again, you have to focus on your timing as well. Remember, you have to do strokes, breath in and move your legs in a rhythmic way. And you have to reach to the other side of the pool in less time. So, how you are going to manage all these stuffs? First of all, it is necessary to breathe in swimming, but it is completely forbidden to breath frequently. This will decrease your swimming potentiality by eating up unnecessary time. This is the basic tips, breath on your third stroke. Keep your hands sharp and straight in order to successfully cut the water. Besides, additional tips and tricks of your own will help you to achieve your goal. Above all, just relax your mind and loosen your muscle. Do not aim for a long move but achieve it by taking little steps at a time. If you need to know all the terminology of swimming, you can take a look at here. Always try to swim maintaining a line. Swim often to enhance the strength of your muscle. Eat enough diet to maintain your body fitness. Try to have a powerful kick. At the beginning of your swimming session, try closed fist swimming. In the end, the best ways are given in this article to improve your swimming skill. Your swimming skill will be upgraded gradually if you follow the swimming metrics with your best effort and passion. Anything without passion you can’t achieve. It is not so tough to keep updated with the new metrics of swimming. And with the update of gadget, it has also become so easy to measure the pace, time, stroke, heart rate etc. You can also measure SWOLF through that device. Therefore, work hard in a smart way obviously. Maintain your routine and don’t give up. Best of luck to you. Are Fitness trackers worth it? Is That Tracker Waste of Money?